Join Anna for a workshop exploring how yoga asana (poses) can help calm the nervous system. For many of us, anxiety is a kind of out-of-body experience. A regular yoga practice restores the connection between mind and body, enabling us to feel more deeply without being overwhelmed by our thoughts or emotions. The workshop will comprise a series of yoga poses emphasizing the sensations of grounding, containment, and support. We’ll experiment with using props and walls to create conditions of safety and otherwise enhance our practice. Anna will also provide a list of written and audio-visual resources for further self-study. The workshop is appropriate for students of all abilities. Cost is $30, or $25 for Rise yogis on a monthly autopay membership or annual membership plan. Join us April 27 at 11:15 am to discuss Waking, a memoir by Matthew Sanford, the founder of Mind Body Solutions. In his book, Matthew, a Minnesota native describes his experience of trauma and loss following a car accident when he was 13. Years later, he found yoga (yoga found him!) and reconnected with his body, despite paraplegia. We’ll meet between Saturday classes to share snacks and chat about the book. You don’t need to have read all of Waking to attend. To purchase a paperback copy of the book directly from Anna, email her at annadarice@gmail.com. Join Anna & the rest of the Rise Crew for an extra-special 12:30 class on Sunday April 14th. 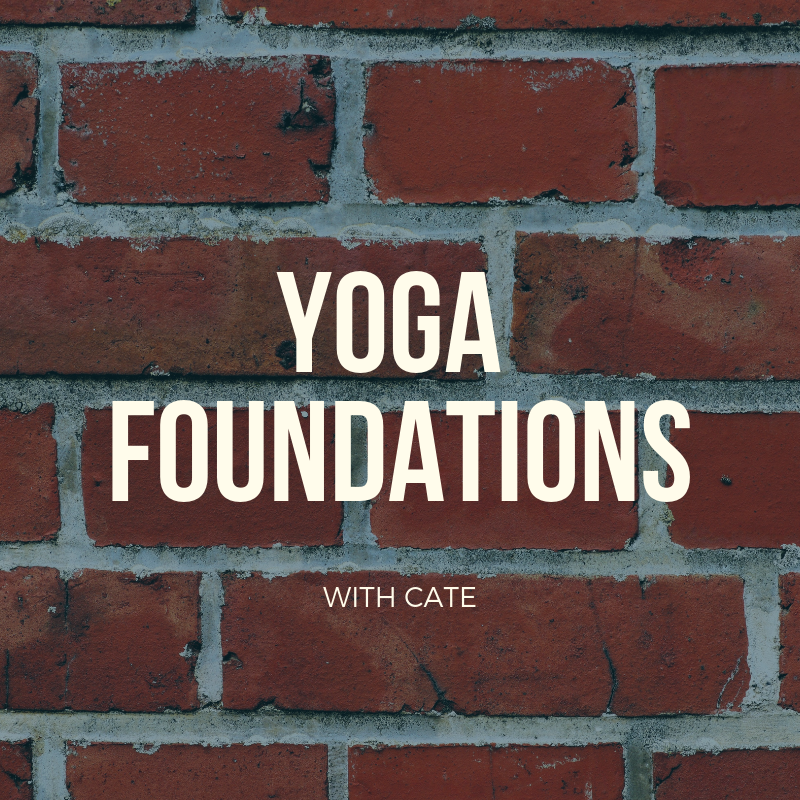 Experience the benefits of partner poses and gentle adjustments in Yoga Together, a special 60-minute, all-abilities, donation-based practice. We’ll experiment with how contact with other yogis—from sitting back-to-back to offering referential touch in poses like Warrior II and Half Moon—can help us connect more and fear less. All are welcome; we have props and variations to accommodate every body. You do not need to come with a buddy; though it of course is a great class to bring friends. Stay after class and share snacks and conversation with your fellow yogis. 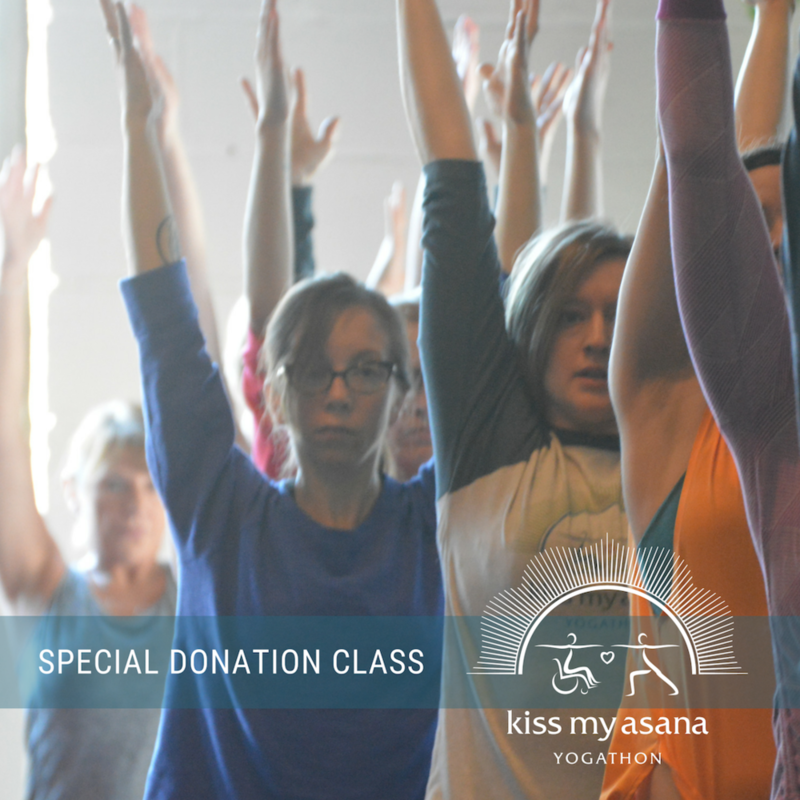 The class is a by-donation fundraiser with all proceeds going to Mind Body Solutions (MBS), a Minnesota-based nonprofit best known for adapting yoga for people with disabilities. Class is free, with donations accepted the day of the class. Suggested donation $20. Pre-registration is not required and this class replaces the regularly scheduled 12:30 Deep Dive that day. Join Dallas for this four-hour introduction to the profound beauty of silence and meditation. 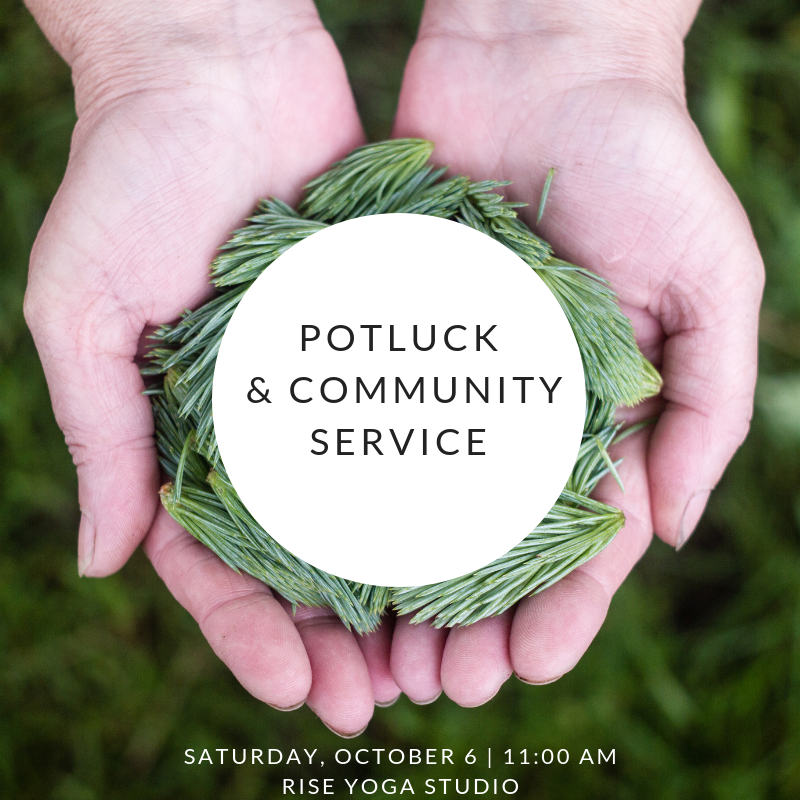 This 4-hour mini retreat will be held at the Rise Yoga studio. 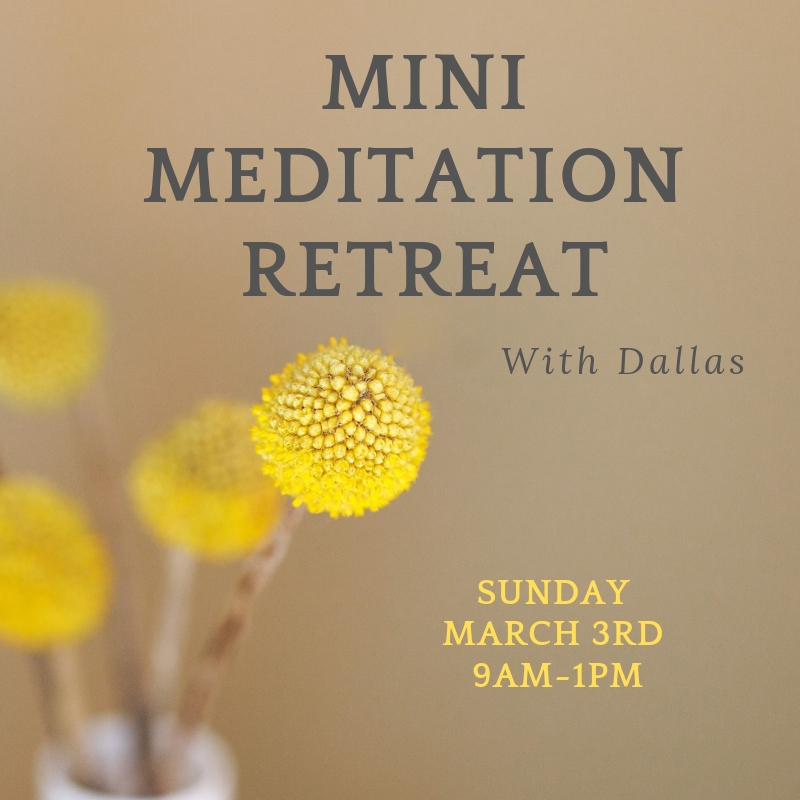 During the retreat Dallas will guide you through a series of meditation practices designed to guide the mind in slowing. She will teach you the art and support you in practicing seated meditation, walking meditation, a meditation technique called a body scan, and eating as a mindful practice (Please bring a brown bag lunch.) The day will also include a gentle yoga practice. The retreat will be a mixture of Dallas verbally guiding you through the skills as well as plenty of space for silence where you’ll practice them independently. Being supported by and confident in silence is a skill. Slowing down the mind is a skill. Developing these skills is directly supporting to your mental and physical health. Meditation practices cultivate the ability to direct your attention, sustain your focus, and lessen your reactivity to world both around and within you. Come practice these essential life skills with us. This retreat will be suitable for a wide range of meditation practitioners. It’s suitable for folks brand new to meditation as Dallas will guide you through the practice. If you are a long time meditators you likely already know the value of silence within a group, it’s different than the silence of an individual. You’ll find plenty to draw from in this retreat. It’s suitable for folks with a wide range of physical abilities/mobilities. The yoga, seated, and walking portions of the practice are adaptable to your needs. We’ll have chairs and props available to you and Dallas will support you in finding a position where you will be able to comfortably slow down and connect to your inner voice through silence and meditation. The season of giving is upon us once again. The humble generosity that is part of the bedrock of the Midwestern culture is just one of the reasons it’s so awesome to live where we do. Who doesn’t love to be the giver? As kids, we are praised for sharing our toys and learn to donate to causes that are important to us. The ability to give means I have excess. At the biological level, it’s hard not to love it…nature ensured that humans share by giving us a dose of mood-boosting endorphins every time that we do. You know what’s not so easy? Receiving. While our culture values giving (which is awesome, don’t get me wrong), all too often lurking just under the surface is the message that receiving is somehow bad or, even worse, selfish. Most of us will do just about anything to not look selfish…which includes giving to the point of being tired, worn out, and slightly (or maybe a whole lot) resentful towards those we are giving to…be they family, friend, patient, kiddo, or client. The thing is, giving and receiving are not two separate actions or experiences but rather two sides of the same coin. Most of us aren’t taught how to receive (there are no tax breaks for receiving a gift.) We don’t know how to honor the act of receiving, not because we don’t have the ability, but because we just haven’t practiced very much. In order to be the vibrant, open-hearted givers that the people in our lives need we must get better at receiving. 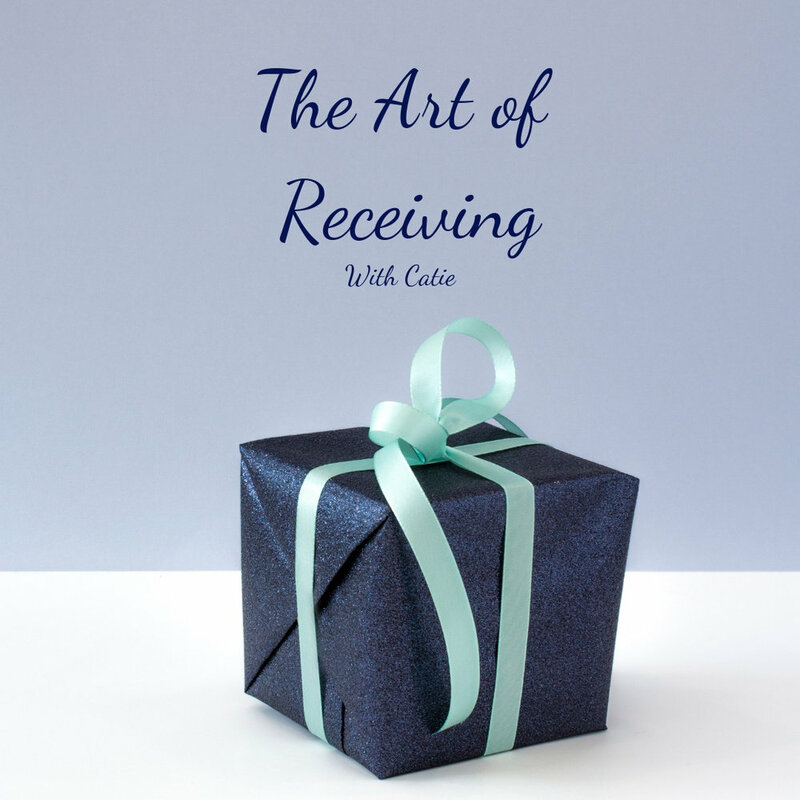 Join Catie in this two-hour workshop where we will explore and practice the necessary art of receiving. It’s intentional that it’s sandwiched between Thanksgiving and Christmas. We know you’re busy. The hallmark of being a giver is a way busy schedule… It’s not just money and gifts that we give, we give time as well. The holiday season will be less hectic and more abundant if we are balanced receivers and givers. This practice will be a mixture of movement, interaction with others, self-reflection and meditation. It’ll be well suited to all yogis regardless of the amount of experience with the physical practice of yoga.